Dr. Mai Diem Nguyen, a family dentist in 77459, is committed to providing excellence in dentistry and stands out as a leading dentist in Missouri City. The doctor uses the latest in dentistry techniques to provide you with a beautiful and healthy smile. Additionally, Dr. Mai Nguyen believes strongly in education to prevent oral health problems before they occur, and makes sure to keep patients fully informed about their dental health. 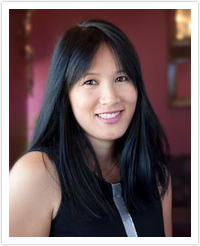 Read more about Missouri City dentist Dr. Mai Diem Nguyen below. I attended UT dental branch in Houston. Dentistry is my passion. I love taking care of patients, seeing them happy and helping them maintain a healthy oral hygiene. I treat patients of all ages, from kids to adults to the elderly. It is important to take pride in the quality of your work because it reflects who you are as a person. It is also important to establish an honest and trusting relationship with your patients by giving them different treatment options to choose from. For me, building a long term relationship is much more valuable than a short term gain. I love people in general. I also love the fact that we are all different and that what makes the world such an interesting place to live.